Please tell me you managed to work Star Wars references into ALL the reviews. Need a copy of LP New York City! I haven’t been back to visit New York in 15 years. Would love to take my kids there to visit for the first time with a good guide book. I’ve lived in NYC for nearly 20 years, so I’m just commenting in the hopes that you’ll accidentally give me your Lonely Planet Guide to Peru instead. Hi there! Great stuff! Would love a copy for my trip this coming spring!! we’re trying to plan a trip to NY soon…it would be the bomb to win it! Working as a liaison for foreign students and vistors to Philadelphia (mainly from Asia), LP has always been a primary resource. The New York edition would be a welcome addition. I’m going to NYC in two weeks. I live close enough to the city to make frequent day trips but not so close that New Yorkers invade my little city. That’d be pretty sweet. I’ve never been to NYC. 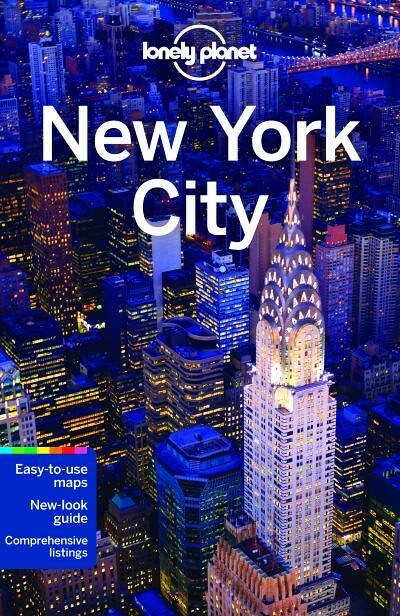 going to new york for the first time in my life in july2013…can’t wait! I’m heading to New York this December. It would definitely come in handy! I went there about 6 years ago, didn’t really feel like I got to take it all in. This time around spending a few weeks. I am planning to visit sometime this spring. This book would be a great help. Crazy times I’ve had in NYC. Please send me some Fatty Cue. Going to NYC next year, would love to win the book! I’m thinking of heading down for a few weeks for the first time, from Montreal!! I’m so excited! Hey Everyone: Thanks for leaving your comments. The winner will be announced shortly. xox, C.